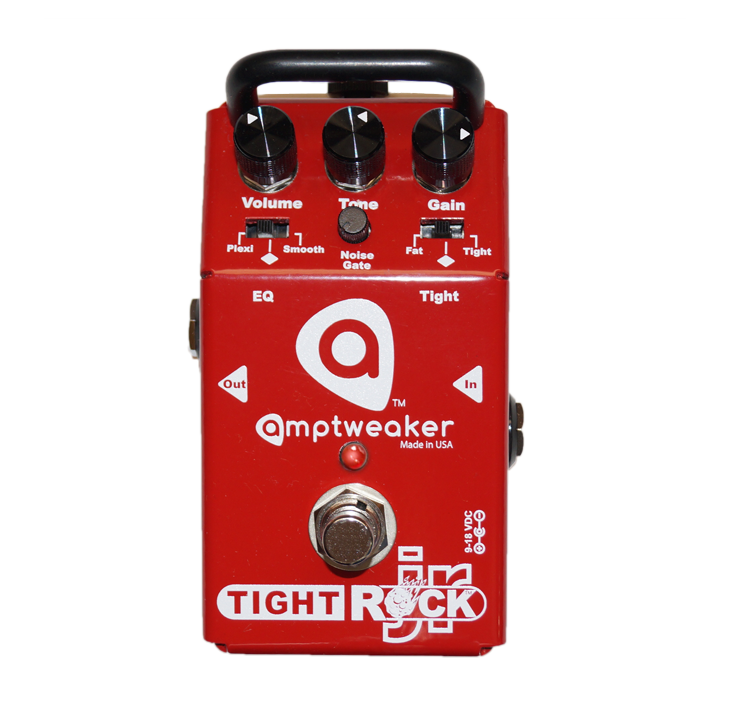 Effects Pedals > Drive Pedals > Amptweaker Tight Rock Jr.
And gave birth to the Amptweaker Tight Rock Jr distortion. Not one to skimp out on as many features as possible, Tight Rock Jr. is the little brother of the behemoth Tight Rock and has all the tone of its elder kin. Switches for Fat/Normal/Tight and Plexi/Normal/Smooth EQ allow you to fine tune your sound for any gig or situation. Tight Rock Jr. even features a noise gate to kill any unwanted noise for choppy rhythm parts. With the ability to run Tight Rock Jr. at 18 volts for even more headroom and push, this may just be one of the most versatile, space-saving pedals around.